Neither side in a dispute between mining and First Nations interests sees a joint federal-provincial panel’s recommendation not to approve the Kemess North copper-gold mine as the end. A response from Northgate Minerals, the applicant of the proposed mine, focussed on the panel’s conclusion that the project would not likely cause significant adverse environmental effects and that Duncan (Amazay) Lake is the only viable waste disposal option. The release also notes the environment ministers for the respective governments could override the recommendation and approve the mine anyway. John Kim Bell, President of Bell & Bernard Limited, was the featured guest presenter last evening in the Hal Jackman Theatre at the Art Gallery of Ontario (AGO) on the historical Dundas Collection. Speaking to a full house, Mr. Bell outlined the history of the Tsimshian people in dialogue with Dr. Gerald McMaster. Edmonton… More Alberta youth have new opportunities to stay in school, thanks to five new outreach programs launched this September. The new programs are being offered in Elk Point, Okotoks, Whitecourt and two in Lethbridge , for a total of 127 outreach programs now operating throughout the province. SASKATOON and LA RONGE, SK, Sept. 19 – Golden Band Resources Inc. and the Kitsaki Procon Joint Venture are pleased to announce the signing of a General Services Agreement between their organizations. The intent of this agreement is that business opportunities from Golden Band’s advanced exploration, pre-development projects, and anticipated future production operations are available to members of the Lac La Ronge Indian Band. In addition, the broader document asserts the commitments that both organizations have to environmentally responsible mineral development. Thunder Bay, ON — The largest forestry union in Ontario has invited all candidates in the provincial election, for the two Thunder Bay area ridings, to a debate on the crisis in Ontario’s forest industry. OTTAWA, Sept. 19 – The Honourable Chuck Strahl, Minister of Indian Affairs and Northern Development and Federal Interlocutor for Métis and Non-Status Indians, along with the Honourable Michael M Fortier, Minister of Public Works and Government Services Canada will make an announcement in Kahnawake. VICTORIA – The government of British Columbia and the City of Nanaimo have signed an agreement with the Snuneymuxw First Nation for the collaborative management of Newcastle Island Marine Provincial Park, Environment Minister Barry Penner announced today. FORT LANGLEY, British Columbia, September 19, 2007 – On behalf of the Honourable Josée Verner, Minister of Canadian Heritage, Status of Women and Official Languages, Mark Warawa, Parliamentary Secretary to the Minister of the Environment and Member of Parliament (Langley), today announced $18,750 in funding for the Langley Centennial Museum and National Exhibition Centre. Students and visitors to the SIAST Woodland campus and First Nations University of Canada campus in Prince Albert now have expanded access to wireless Internet service thanks to the Saskatchewan! Connected initiative. Minister responsible for Information Technology Frank Quennell made the announcement today in Prince Albert. The Saskatchewan! Connected initiative offers users basic Internet service via a wireless Wi-Fi based network. The first phase of the initiative was launched in July with the service being made available in select business districts of Moose Jaw, Prince Albert, Regina and Saskatoon. The second phase involves the expansion of existing wireless networks in the post-secondary institutions of the four centres, and opening up their previously restricted wireless services to the general public. AFOA is now accepting nominations for the 2008 Xerox Canada-AFOA Canada Excellence in Aboriginal Leadership Awards. 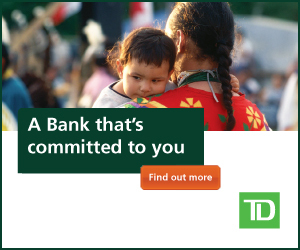 The Awards recognize individuals who have demonstrated commitment and leadership in financial management in Aboriginal communities and organizations. There are two categories for nominations for the AFOA-Xerox Excellence in Leadership Awards. The National category recognizes individuals who have contributed to the Aboriginal financial management profession on a national or institutional level. The Regional category recognizes those individuals who have made their contributions at the regional, local or community level. The alliance of local Sencot’en speaking peoples, including the Tsartlip, Tsawout and Pauquachin First Nations, are asking the BC Supreme Court to halt progress on the new Tsawwassen Treaty. Harvesting rights in the Tsawwassen Treaty include the southern Gulf Islands, which the Sencot’en claim as their traditional territory under the 1852 Douglas Treaty. The Membertou First Nation has cleared a hurdle in its plan to buy 10 hectares of land from the Cape Breton Regional Municipality for development. In a 14-2 vote Tuesday night, regional council voted to declare the land adjacent to the First Nation surplus. More than $1.3 million will be invested over two years to create a Manitoba HIV program, reduce the spread of sexually-transmitted infections (STIs) and promote improved sexual health, Healthy Living Minister Kerri Irvin-Ross announced today. WHITEHORSE – The Hamilton Boulevard Extension project officially commenced today with the ceremonial ground breaking attended by Community Services Minister Glenn Hart, Whitehorse West Member of the Legislative Assembly Elaine Taylor and Whitehorse Deputy Mayor Jan Stick. WINNIPEG, Sept. 19 – The Honourable Chuck Strahl, Minister of Indian Affairs and Northern Development, Federal Interlocutor for Métis and Non-Status Indians, and Minister Responsible for Indian Residential Schools Resolution Canada, and Phil Fontaine, National Chief of the Assembly of First Nations, today announced the Implementation of the Indian Residential Schools Settlement Agreement. WINNIPEG – This weekend the Manitoba Metis Federation (MMF) is holding its 39th Annual General Assembly in the City of Winnipeg, commencing Friday, September 14th and continuing until September 16th at the Winnipeg Convention Centre. The theme of this year’s Assembly is “Empower-Your Family. Your Nation. Your Future.” with an emphasis on self-governance. TORONTO, ONTARIO–(Sept. 19, 2007) – MacDonald Mines (TSX VENTURE:BMK) experience and expertise in the James Bay Lowlands enabled the Company to execute a rapid land acquisition response in recognition of Noront’s major Ni/Cu discovery. This resulted in the Company having the ability to strategically select and acquire claim block targets based on scientific knowledge in the core zone of the greenstone belt. This also allowed the company to largely avoid competitive staking situations and acquire several claim groups adjacent to the south boundary of the Noront Double Eagle Property and covering what is interpreted to be the contact of an important geological unit. CALGARY, ALBERTA–(Sept. 18, 2007) – Empire Industries Ltd.(“Empire”) (TSX VENTURE:EIL), one of Western Canada’s fastest growing steel fabrication and construction service providers and Tornado Technologies Inc.(“Tornado”) (TSX VENTURE:TDO), today announced that they have entered into an amalgamation agreement pursuant to which Empire will acquire, subject to certain conditions, 100% of the issued and outstanding common shares of Tornado on the basis of 2.09 common shares of Empire (the “Exchange Ratio”) for each Tornado common share (the “Transaction”). The arms length, negotiated value per share is $0.55 per Empire common share and $1.15 per Tornado common share. The total value of the Transaction is $17.2 million. WINNIPEG – Tomorrow morning, at 10:00 AM, September 15th 2007, over 30 Metis students will be congratulated for their success and presented with Scholarship and Bursary awards at the Manitoba Metis Federation (MMF) Annual General Assembly at the Winnipeg Convention Centre. MMF President David Chartrand and the Honourable Vic Toews, Q.C., M.P., President of the Treasury Board, will present the awards in a special ceremony. This special event in honour of the recipients of the MMF Health and Wellness Scholarship and Bursary Awards has been made possible by a partnership with Health Canada through the Health Human Resources Initiative. This partnership with Health Canada marks the beginning for the Metis People accessing federal health funding. WINNIPEG – In conjunction with this weekend’s 39th Annual General Assembly for the Manitoba Metis Federation (MMF), John Weinstein is launching his latest book on September 15th, at the Winnipeg Convention Centre. In Weinstein’s book, he traces Metis aspirations for political autonomy as part of the Canadian Federation from the time of Louis Riel through to the 2005 Kelowna Accord. He brings you into the backroom negotiations, political maneuvering and constitutional wrangling of the last three decades. Weinstein delivers a captivating history as a unique background to the Metis struggle for recognition and justice. Canada’s main Inuit organization has dropped a long-held moratorium on uranium mining in the Arctic, removing one obstacle to developing potentially rich deposits of the radioactive metal. Nunavut Tunngavik Inc., which administers the Nunavut land claim, announced yesterday that it was abandoning a moratorium approved by Inuit voters in 1989. The moratorium was put in place after a German company attempted to develop a uranium mine around Baker Lake. VANCOUVER — Premier Gordon Campbell says his government will take an extra three months to finalize a deal to cede the University Golf Club in his riding to the urban Musqueam band, according to a participant at the Premier’s first meeting with community representatives on the issue. The deal had been expected to conclude this month, but the Premier told participants at the Friday gathering in his constituency office that the government hopes to resolve it by the end of December. Check out the inukshuk at Allstone Quarry Products on Highway 27 near Schomberg, because you won’t see a bigger one. Surveyor Zbigniew Zak or MMM Group went aloft in a basket crane (cherry picker) Thursday and verified its height at 11.377 metres at ceremonies marking the effort to get the structure included in the Guinness Book of Records. Both the NDP and a native group are hailing a recommendation by a government panel not to approve the Kemess North mine in order to protect the nearby Amazay Lake. Carrier Sekani Tribal Chief David Luggi said the perseverance of the Talka Lake and Tse Keh Nay First Nations means the lake will be saved from destruction. Almost a year ago two budding filmmakers with no budget and borrowed equipment set out to practise their craft. Helder Mauricio Carvajal, 25, and Peter Brass, 29, who both work in the Indian Communications Arts department at the First Nations University of Canada (FNUniv), shot a short film in the Qu’Appelle Valley. OTTAWA – Two First Nations bands have launched a $1-billion lawsuit against Ontario and a $10-million counter-suit against a mining exploration company in an escalating battle over drilling rights on a site near Sharbot Lake, Ont. The Ardoch and Sharbot Obaadjiwan Algonquin First Nations allege the province breached their aboriginal rights and failed to consult them before granting mining company Frontenac Ventures drilling rights to land they say belongs to them. FRIDAY MARKS the second anniversary of the disappearance of a local mother. Tamara Chipman was last seen Sept. 21, 2005 hitchhiking back to Terrace on Hwy16 near the Prince Rupert industrial park after spending several days there visiting her mom and friends. Despite two searches – one launched by RCMP and a second one by family and friends – Chipman hasn’t been seen since. Native survivors of church-run, government-funded residential schools can apply for financial compensation Wednesday, as Canada’s largest-ever class-action settlement comes into effect. “Today, it means to me that it’s a day of celebration, a day of recognition, a day of acknowledgment,” Assembly of First Nations compensation co-ordinator Jennifer Wood said Wednesday in Winnipeg. The Ontario government has temporarily suspended talks with Six Nations representatives in response to the severe beating of homebuilder in Caledonia, Ont., last week. “Ontario considers last week’s confrontation unacceptable. Violence is never a solution to any dispute,” Ontario’s Ministry for Aboriginal Affairs said in a statement released on Tuesday. After a quarter-century of promoting cultural awareness, staff at the Lloydminster Native Friendship Centre invite the public to join in celebrating their success. This Friday, the centre will be holding their 25 anniversary dinner and awards night. Among the main events of the night will be an aboriginal art auction, live music and an awards ceremony giving thanks to some of the centre’s founding members. We received correspondence from the Province of Manitoba Representatives which by no means addresses the concerns brought forth by the Hollow Water First Nation. Provincial Officials must realize that an area once untouched has now been possibly irreversibly damaged. In an effort to ensure Provincial Officials understand the seriousness of the situation; the Hollow Water First Nation is now prepared to deny access to the 304 Highway. This highway crosses the Hollow Water First Nation’s Traditional Area and provides access to Wanipigow Lake and the Bissett Region. As of 11:00 pm measures have been put in place to provide such a barricade. The conflict in Hollow Water First Nation has escalated with band members blocking off access last night to Highway 304, which goes through their traditional land. “Provincial officials must realize that an area once untouched has now been possible irreversibly damaged,” said a release sent out by the band. Three Victoria post–secondary institutions will receive more than $515,000 from the Ministry of Advanced Education to develop Aboriginal education projects. “Contributing to these courses and programs is a top priority for our government,” said Ida Chong, MLA for Oak Bay-Gordon Head. VANCOUVER — As First Nations in the mountains of Northern British Columbia celebrated victory over a proposed mine yesterday, mining officials said the apparent failure of Northgate Minerals Corp.’s Kemess North project shows the need for laws that funnel a guaranteed share of the resource revenues into aboriginal coffers. Kamloops — Five members of a native band who claimed they had an aboriginal right to fish have been found guilty of illegal fishing. Provincial Court Judge Bill Blair has ruled the group didn’t have an aboriginal right to fish for sockeye salmon along the Fraser River near Lillooet, B.C. The seventh annual call is out by Northern Health for applications for aboriginal health initiatives projects to promote healthier lifestyles among First Nations people. There is more than $1.1 million in available funding this year for ongoing work, including $410,000 earmarked for new projects. To show its disgust with a violent demonstration at Caledonia in which a builder was beaten unconscious last week, the provincial government has temporarily pulled out of land-claims negotiations with the Six Nations. “Ontario considers last week’s confrontation unacceptable,” the Ministry of Aboriginal Affairs said in a statement yesterday announcing that government negotiators would not participate in this week’s scheduled meeting, but hope to resume negotiations soon. OTTAWA, Sept. 19 – Assembly of First Nations National Chief Phil Fontaine is pleased to announce that residential school survivors are officially eligible to apply and receive a Common Experience Payment, now that the Indian Residential Schools Settlement Agreement has been finalized. Survivors are also entitled to apply for the Independent Assessment Program (IAP) for compensation for serious abuses experienced during their time spent at residential schools. QUEBEC CITY, Sept. 18 – The results from research projects led by Québec researcher Dr. Sylvie Gauthier and a large team of scientists from across Canada are providing important new guidance for the ways in which tree harvesting can be used to effectively mimic natural forest disturbances. Following the recommendations of Québec’s Coulombe Commission, which called for more ecologically-sensitive forest practices, researchers of the Sustainable Forest Management (SFM) Network are filling gaps in knowledge about how fire, insects, and other natural disturbances affect Canadian forests. They are finding that by changing logging practices, forestry companies can create conditions similar to natural disturbances as a way to preserve forest biodiversity. OTTAWA, Sept. 18 – Effective September 20, the National Association of Women and the Law (NAWL) is being forced to layoff its staff, close its office and cease major consultations and advocacy on women’s legal issues, thanks to the Harper government. Many aspects of women’s equality in this country remain unrealized, particularly for racialized and Aboriginal women, for poor, immigrant and disabled women. NAWL has played a vital role in many of the major milestones towards women’s equality in Canada over its 30-year history and does not intend to go quietly. VICTORIA, Sept. 18 – The Victoria Foundation and The Irving K. Barber BC Scholarship Society have partnered in managing and awarding scholarships from $36 million in endowment funds established by the Province of BC. “We are very pleased to partner with the Victoria Foundation in the administration and stewardship of our scholarship funds,” said Mike Apsey, chair of the Irving K. Barber BC Scholarship Society. “With support from the Government of British Columbia, the Society has quickly increased the number and value of its scholarship programs”. TORONTO — — Northgate Minerals Corp. [NGX-T] shares fell as much as 14 per cent Tuesday after a government panel ruled against the company’s Kemess North copper-gold mine project in north-central British Columbia. A woman who had hoped to run in the Tu Nedhe district in the Oct. 1 N.W.T. election is fighting her disqualification as a candidate by the territory’s elections office, which rejected her paperwork. Noeline Villebrun said she might take the matter to the N.W.T. Supreme Court. Her agent has already written a letter of protest to Saundra Arberry, the territory’s chief electoral officer. One Nunavut MLA still wants Premier Paul Okalik to step down, even after he and his fellow MLAs voted Monday to censure the premier over inappropriate comments he made to a female official this summer. “In order to bring back public trust, he should do the right thing,” Rankin Inlet North MLA Tagak Curley said Monday. A uranium exploration company has apologized for working in Labrador Inuit land without having sought permits first. The Nunatsiavut government, which is the governing body of Labrador’s Inuit, decided to deny future permits to Silver Spruce Resources after learning that the company had been doing preliminary exploration work on Inuit land without having filed a work plan.